Boreal Frog Dissection Labs are an inexpensive and convenience way to bring dissection into your curriculum. 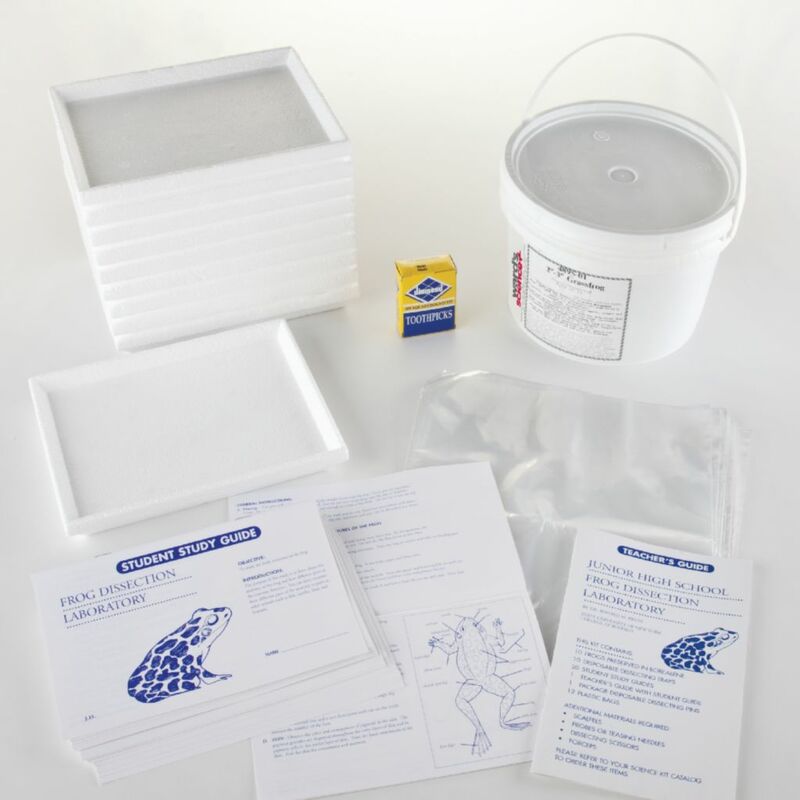 With each of these Frog Dissection Labs, you'll receive the essentials for dissection. Specimens are easy to pin and dissect, and are packed in formaldehyde free Borealene II. Each kit also comes with disposable dissection trays that offer direct pinning to the surface with no cleanup or resurfacing necessary. You'll also receive student manuals that contain easy to follow, step by step instructions. Also included in the student manual are pre- and post-tests. The included teacher's guide lists student objectives, teaching hints and an answer key for student tests. Replacement student and teacher guides are available. With both Junior High School and High School Dissection Labs available, you can choose the level that's right for your classroom. Frog Dissection Labs include (10) specimens, (10) disposable dissection trays, (20) student manuals and (1) teacher's guide.